I bought to you probably one of the best, if not the best golf maps out there! - I then worked on a Medieval map which I never got round to finishing and still remains at 3 holes. However my long awaited, new golf map is here!!! 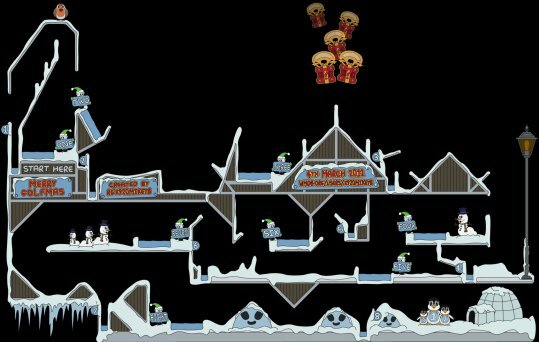 Originally planned for release Christmas 2010 the unfinished "12 hole" map only had 7 holes. After a long time of trying to get myself in the mood for finishing it. Here it is! The map consists of 8 holes with a nice fun, friendly and graphical Christmas theme! With snow covered houses, and streets. The holes are both unique, innovative and challenging :) Can you complete it? Download it, Comment, please leave me feedback! :) Thanks!